Against my better judgement, I recently purchased a 66 1600-2. For those of you playing a long at home, this makes 3 projects running at the same time (other builds here and here). No, my wife hasn't divorced me yet. I just couldn't resist the allure of such an early car, when will I ever get the chance on this again?! First things first, Here's what I know about the car. 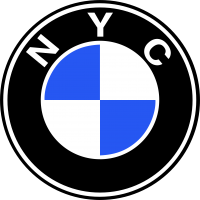 From the BMW Group Archiv: "The BMW 1600 VIN 1507592 was manufactured on October 14th, 1966 and delivered on October 20th, 1966 to the BMW importer Hoffman Motors Corp. in New York City. The original colour was Granada, paint code 023." The 66 bible lists this information on my car: "1507592: Granada Rot, paint code 023.Complete car but missing original seats and dash badge. Ebay 2009. Sold in SoCal shortly after. See 2002faq for details. Current owner: Unknown, USA." So far I haven't had much luck turning anything up via google. I'd be very happy to hear If anyone has any information on this car, the last ebay sale, etc. I have heard it referred to as having a Belgian origin, but I'm not sure where that idea came from since it was sold to Hoffman. Maybe someone can chime in on that as well. Based off my research on early cars (much of which compiled in the 66 bible) there are 4 older cars that were known to be in the states, 3 of those being of unknown status. I hope some of those other cars (or even those previously unknown) will start coming out of the woodwork. I was alerted to the car after my friend Reggie saw it sell at an auction. The person who bought it purchased with intent to flip, and after his sale at the auction went south, I was able to contact him and arrange a meeting. Lucky for me, the new owner lived about an hour away in Kentucky. He sold it to me 4 days after buying the car at auction for a small but respectable profit. I was told that the car sold in 2009 via ebay to a collector who has recently died. The collector's family had his entire garage for sale at the auction. It is believed that after the collector purchased the car in 09 it went into dry storage and hasn't done much moving since. The car doesn't have much rust - mainly surface rust that can be handled. No cancer other than a small spot on the passenger door. It's got plenty of dings and patina for days. The glass seems to be original and in good shape. Most of the early bits are still in place with the exception of the 10 slat kidney, dash badge, front seats, and side view mirror. The engine has been changed to another 1.6 with a 156XXXX vin, but still retains the generator and other 6 volt items. The remainder of the drive train appears to be original. Mechanically the car is in good shape, especially after the tuneup we just performed. The suspension is worn and starting to show age, but at some point had billy sports and eibach springs installed. At somepoint the front subframe was swapped for one that has a swaybar. I'll swap the subframe to a no swaybar when I go thru the suspension bushings. The interior is in appropriate shape for it's vintage. Unfortunately someone recently tore the headliner trying to change the mirror, and the drivers side portion of the carpet is missing. I'm not sure exactly how to go about rejuvenating this car. I'd like to do a ground up restoration, but am worried that will take away from the 'originality' and cool points of it's patina. However, in keeping the patina, I'm concerned about going too far with rehab as I don't want things I fix to stick out too badly. For example, the seats need to be changed, and I have a set (or at least one) 66 correct seat in the wrong color. I could have those seats redone in black, but they wouldn't look correct in context. My goal is for this car to be a reliable driver's car. If I ever sell it, I'll let the next owner decide if they want to take the plunge into full restoration, at least I can save if from a life of slow decay. Next comes Cooling system check, Diff oil, Tires and Alignment, valve adjustment, Horn, Ebrake cables, Fix window regulator & checking the gas tank filler neck for leaks. Great!!!! I'm thrilled to see a rare early car in the hands of someone who will love it for what it is. The quality of the details on these early examples -- rear view mirrors, carpeting -- puts my '76 to shame. Since the car is drivable currently, I believe your approach is spot on: identify those items that have been changed over the years and, where a replacement part closer to the original can be found, swap out the "less original" item for the "more original" item, documenting what you're doing with photos, for subsequent "owners/caretakers." It appears far too original for a "ground up" restoration. Fix only what needs to be fixed and paint only what needs to be painted. Congratulations! It looks like a beautiful car in a great color combination. Do what Paul Wegweiser does with F'Bomb. Repair damage leave patina, restore all mechanicals. My copy of Les's registry has the record of the July '09 auction listing but nothing further. Nice job documenting this early version. Keep up the good work. Thank you! I had tried to add the vin to the bmw2002registry.com and it came back with an error about the vin being incorrect. Any ideas on how to add it to the list? Worked on the 66 some last Thursday night. Got the valves adjusted and flushed the radiator and block. Took it for a drive and realized it was having a hard time putting power down in the low end. After a few minutes realized this was the clutch going bad. I was really hoping the clutch wouldn't have any issues as the special three finger pressure plate and throw out bearing are NLA. I got lucky and was able to find a full clutch set on ebay. It was pricey, but gives me the peace of mind about being able to keep it that much more original. I'm afraid this clutch repair may have sent me down the rabbit hole. I was hoping to drive it some before sinking a bunch of cash into it, but i think now it'll get clutch, all new suspension bushings and trans/motor mounts, Fresh waterpump and thermostat, and anything else i can think of under the car. Plus, while the subframes, driveshaft and trans are out I can Clean and POR 15 the underside to keep it from rusting. And...And...I don't want to spend the $$$ or the time right now, but it'll be the right thing to do. The registry is currently using an old set of code written quite some time ago. The admin. and I are in the process of how to move things forward. For now it is a moving target and we will continue to work towards what is best for all 02 owners. These very early 1600-2's are the rarity that were likely not included in the sites ability to recognize and store the information. Thank you for your comments as we transition to a more functional site. Before the '68 model year there were no specific VINs for cars destined for the USA. Your car was part of the normal US/Hoffman delivery. I know this car... It lived in Berkeley on Cedar Street near 4th for many years in the '80s. It then disappeared for a while and turned up in Oakland on Craigslist for sale in the early 2000's. I tried to buy it from those sellers then, but they wouldn't connect with me before they sold it. A few years later I saw it for sale on eBay out of SoCal. I again tried to buy it, but lost the auction. Now you turn up with it in KY. COOL to see that it will be taken care of for future generations! Congrats! These very early BMW16oo's are very rare as you found here. Decided to tackle the clutch replacement yesterday with a buddy. We got everything out and realized the flywheel was in need of some TLC. I should have expected something to go wrong. Lucky for me, I've got the original motor/transmission still together from my 67, so I will break that in the next few days and hope that the flywheel looks good enough to use. My funds are a little thin, so I'm trying to save anywhere I can while still doing a quality job. I was excited to see that even though the car is missing its original engine, it likely has it's original transmission. The clutch disc had a date stamp of '82' on it, so not the original clutch, but it's mighty old. Pulled the flywheel out of my 67's motor/trans and while it looked ok, i figured It would be better not to cut any corners. I didn't want to risk premature wear on this really expensive impossible to find clutch. Got it installed in the freezing cold and dark. Whoops. Didn't get to drive it since the battery was dead. put the battery on a charger and traced the issue to the generator. Looks like it's got a broken mount which kept the belt just tight enough to appear correct, but to not actually charge the battery. Luckily i've got a spare set of generator&bracketry in storage to install and get this back on the road. next up is generator & cooling system refresh and it should be good to go! I went back a few weeks ago to install new radiator, IE water hoses, and a new waterpump and gasket. It didn't go well. Got the front half of hoses on no problem. But this endeavor was prompted by a leaking (read split) block to heater inlet hose...which the early IE hose kit doesn't include. Totally my fault for not reading, whoops. I had to run a length of generic hose to bypass the heater entirely. This was ok, because the heater outlet hose supplied was too large for this car and I couldn't have used it if i'd wanted to. After the hoses it started looking like it was going to rain, so I installed the radiator and called it a day. I figured the waterpump on it now was good enough, and if i needed to swap it wasn't a terrible job to do later on. The radiator I installed was from a parts car and was unknown condition. I had another if it was bad, so i figured it was worth a shot. A week passes and I come back with a different used, period correct, radiator. I hopped in the car, moved it to a suitable workspace and removed the radiator. 10 minutes later new radiator is installed, and i attempt to start the car to test. No start. It's done this before, when the battery is weak, so we put the battery on the charger, work on other projects, get lunch, and try again. No dice. I go back and double check all the work i did to ensure i didn't mess anything up i shouldn't have. Still no dice. we were able to confirm air, fuel, and spark, but no start. So we called it a day and figured the culprit was in the ignition system and we need some new parts to solve the problem. A few days later my friend tows the 66 to louisville for me. Since it doesn't have a working parking brake, it took the garage spot from Frogger. Once it was home I charged the battery over night and swapped in a new 6v coil. Still no dice. Started a thread to get some advise on how to tackle this problem (here) and ordered up a set of points and condenser from Blunt. This brings us to present day. I was able to install the new points and condenser last night. After properly setting the gap (big thank you to Jason Gipson for teaching me how to set the gap, along with a few extra tricks a few months back) i turned the key and it fired right up. However, it didn't run great. Decent idle, but didn't want to rev. After a few minutes the idle got much worse and died. No restart. Battery voltage good. Crap. One day i will drive this car, and it will be glorious. Pull the plugs and have a look. I'm sure it's something simple.